Greetings and Salutations to all my brothers and sisters in music. It's Rick here again, and I'm going to make an attempt at recapping 2017 with a Year In Review for our little scene here. I told Ms. Little Okieland that I would be happy to contribute to her website, as long as I could employ a little help from my friends. You see, there's just too much great music happening all throughout Oklahoma, it's nearly impossible for one person to recap the greatest moments of the year. And on top of that, sometimes the greatest music moments of the year have a lot to do with whom you're with at the time. I know that some of my top favorite shows were Parker Millsap at the Cimarron Breeze Concert Series, Jason Isbell at Cain's Ballroom, John Moreland tearing it up with John Calvin Abney on his triumphant return to Tulsa at the Cain's, and all of the awesomeness that transpired at the Bob Childers Gypsy Cafe. We'll hear more about those shows in a bit. I find it hard to know where to start, so I'll start with the most recent show I attended. I was fortunate enough to brave the rain, sleet, and snow to see Dylan Stewart and Scott Evans open for the Red Dirt Rangers and BC & The Big Rig. And as always, they completely owned the stage, wowed the crowd and everyone left feeling a little more fulfilled musically. Randy Crouch just happened to stop by and play a few with the Rangers, with Don Morris on bass and James Purdy smacking the skins. But my favorite moment was when Randy sat in the audience and watched in awe Brandon Clark and his band cover one of Randy's songs. If I Was As High As the Price of Gas was cosmically covered on BC's newest record and features Randy Crouch himself. If you haven't heard it yet, I would highly recommend it. There were a couple more highlights for Brandon Clark this year as well. He got to open for Gene Simmons as well as opening for Blue Oyster Cult on the main stage at Sturgis this year. The Stone River Music Festival was an incredible weekend, so many great moments with Dustin Pittsley, Wink Burcham, Travis Fite, Jacob Tovar, and topping it all off was Ian Moore, who slayed every lick like he'd sold his soul or something. Watching he and Pittsley trade licks during the end of the night jam was akin to watching Clapton jam with the Allman Brothers Band. So fantastic. There were also breakout performances I got to hear as well. A young up and comer in Stillwater named Isaac McClung wowed me on several different occasions, Ben McKenzie got to play some of the biggest stages in his short career so far, and Rugged Grace got to make their first trip overseas and play a tour of Ireland. I referenced the Cimarron Breeze concert series before, and if you ever get the opportunity to see a show there, you'd be a fool not to do that. Monica Taylor has been instrumental in making that quaint little church in Perkins, OK one of the most coveted small venues to play in. I've seen Parker Millsap there twice, the Rangers, the lovely Monica Taylor and the late Tom Skinner. Sarah Probasco remembers one of her favorites there was Jamie Lin Wilson. There's something about that church that makes the music played in there even more divine. Amy Stillwell echoes my sentiment about John Moreland's return to Oklahoma by reminding me that he sold out the Tower Theater in OKC, the first sold out show since it's renovation. I had the pleasure of seeing him the night before at the Cain's Ballroom, and I will go see him every chance I can. On November 6th of this year, the BOK Center hosted a benefit for Leonard Perrier that featured Kris Kristofferson and Rita Coolidge on stage together for the first time in 40 years. 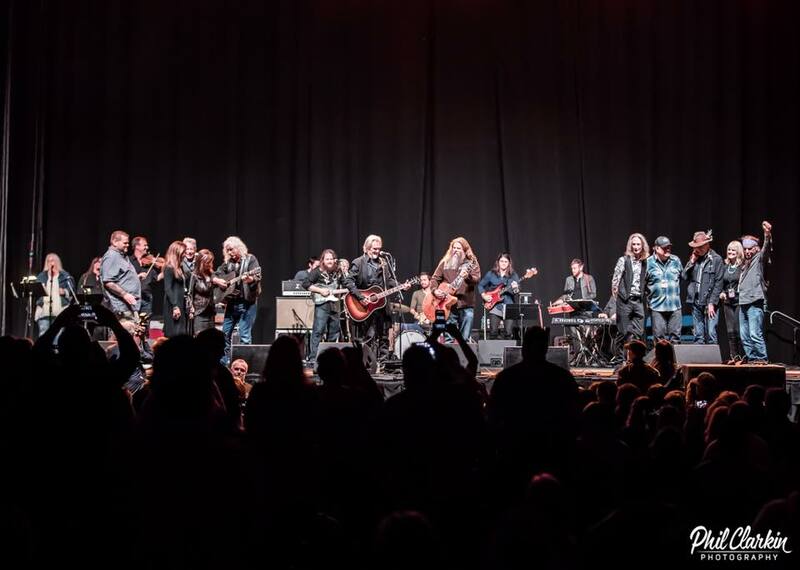 They were joined by names such as Jamey Johnson, Joe Ely, John Densmore, and Jessie Coulter. But there was one proud Okie Music Director, Paul Benjamin got to put together some fantastic local players to be the house band, including Roger Ray, Travis Linville, Jeremy Watkins, Danny Timms, and others. Sherman Connelly of War Pony recalls his favorite moments of the year coming from the Annual Tom Skinner Skyline Music Festival. 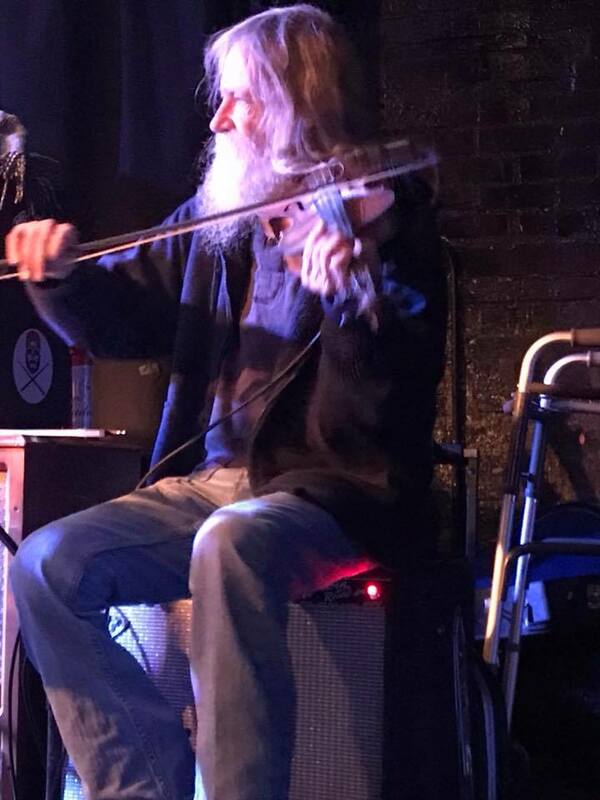 He loved playing with Randy Crouch and Gabe Marshall, but also says that Mike McClure and Bryon White doing "Room at the Top of the World" was his most memorable. 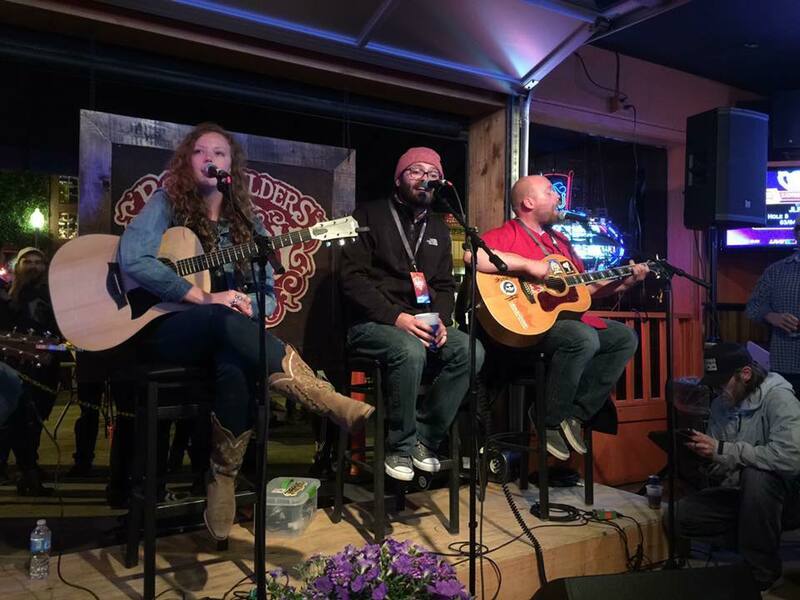 Gib Stones put together a show in Stillwater honoring a fallen brother in music. My Way Home was organized by Stones for Jason Stringfellow, who passed unexpectedly this year. 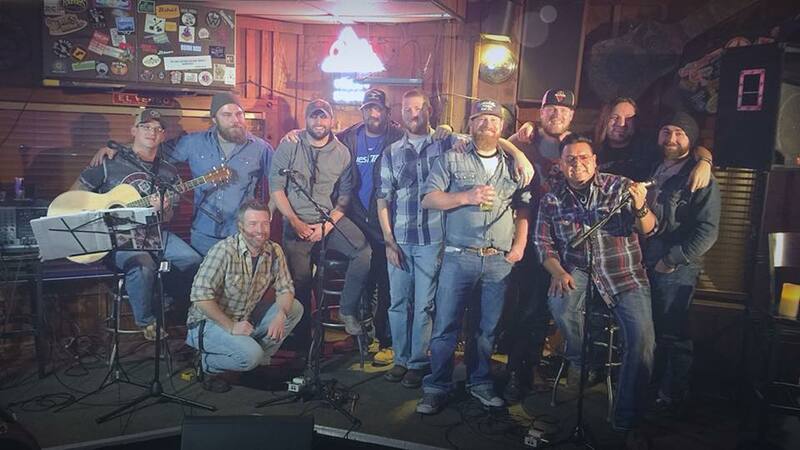 Willie's Saloon had somewhat of a homecoming of sorts when he was joined on stage by Nick Gibson, Tony Pearce, Cale Lester, Brandon Jackson, Chad Sullins, Casey Smalley, Chance Anderson, Curtis White, and others. A show that has grown to be a significant show in Stillwater over the past few years is the annual Joe State Tailgate Homecoming show featuring Cody Canada and Mike McClure. This year my son, Hunter, got to attend and hang out backstage with the Damn Quails, Mike and the rest. He fit in perfectly and befriended a jovial Bryon White. Watching the Red Dirt Rangers, Damn Quails, and Mike and Cody was amazing and we even got a bonus appearance when William Clark Green showed up and did a couple of his songs as well. 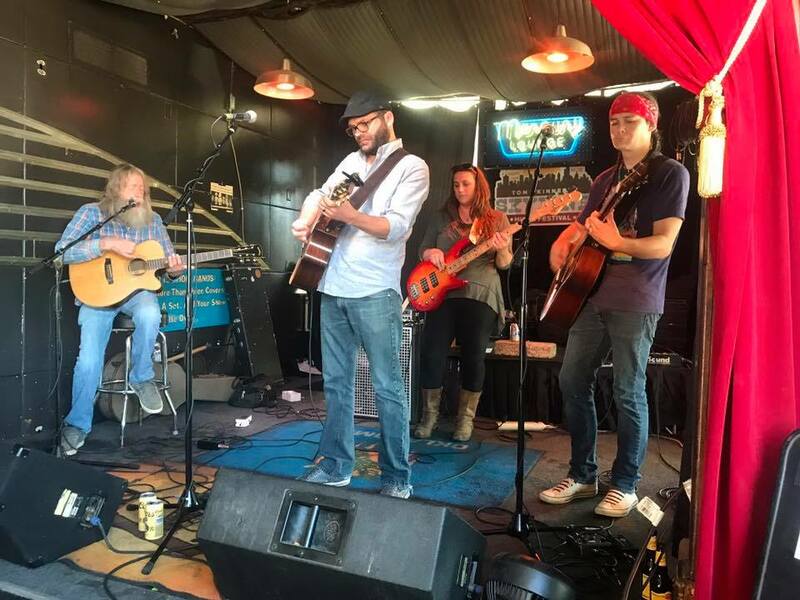 Finally, rounding out the year in review from this writer's perspective is the annual Bob Childers Gypsy Cafe. Garrett McBrain considers the pre-party the night before to be just as much of a highlight. We got to see Randy Pease, the Rangers, and Brandon Jenkins among others. If you haven't caught a pre party for Gypsy Cafe, make sure you put that on your list for 2018! The Bob Childers Gypsy Cafe held so many amazing moments. You got to see the long time coming reunion of Gabe and Bryon on stage in an impomptu Damn Quails reunion, Jason Boland packing out George's Stables to the point they had to stop admitting people at the door, and we all got to hear some final thoughts of a long time icon and legend of Oklahoma music, Jimmy LaFave. Brad Rice, Sarah Probasco, Randy Pease and Cara Evans echoed sentiments of this being the most touching event of the year. Yes, he was weary, and his voice was strained due to shortness of breath, but he was no doubt the highlight of the entire show as he graciously accepted the first ever Bob Childers Restless Spirit award. 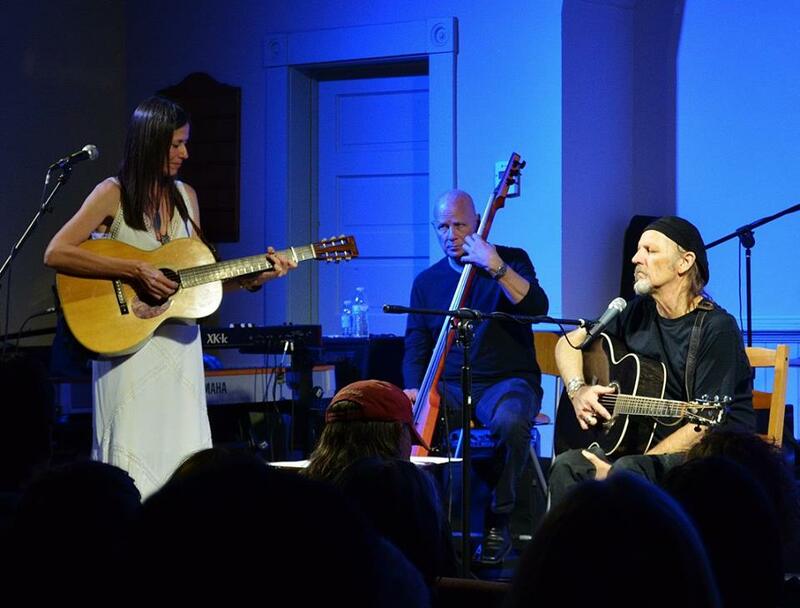 Moncia Taylor got to play with Jimmy during his last show in Payne County at the old church, doing his song Price of Love. She said it was the most amazing show she's seen in years. Jimmy was and still is an inspiration to all of the artists that have come out of Stillwater as well as Texas. He's credited by many Oklahoma musicians for having given them their start. John Cooper was personally touched during Jimmy's final performance stating that he was so honored and thankful to be a part of that amazingly magical, heartwarming, and heartbreaking show. There you have it. A not-all-inclusive look back at some of 2017's most memorable music moments. Always keep in mind though, dear reader, that YOU are just as much a part of the music scene as the next person. Whatever your favorite moment was, whatever events touched you, those are the memories that you must cherish. So, as we usher in 2018, make yourself a list of a handful of events you'd like to go see this year. From festivals to dive bar shows, you have so much to pick from and never be disappointed. Buy a tee shirt, buy a CD, ask the artist for an autograph, I know they'll appreciate it. Here's to all of the magical musical moments that will define us this next year! Cheers!